We look forward to our new home and expect it to bring us happiness in the future. As we assess our situation, we feel very fortunate to have you in our lives assisting us with our new home purchase. Your professionalism and experience have been invaluable to us throughout this process. We will rely on you even more in the coming days as we finally get our purchase completed and the closing process behind us. You have been an able wise counselor to us and we appreciate your attention to our needs. We are MUCH more comfortable having you with us as we finalize our purchase. "Whether you are looking to buy or sell a home in the greater Charlotte area, you won't find a better Realtor than Kristen. I have known her for over 20 years, both personally and professionally. You will find her to be passionate, professional and highly ethical in every aspect of her business dealings... She is a dynamic real estate professional that is focused solely on her clients best interests. She is a hard negotiator yet a compassionate individual. 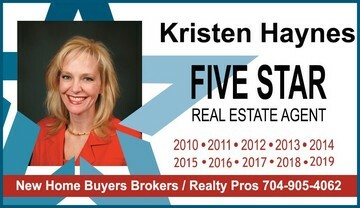 If you need a top notch Realtor, you won't find one better than Kristen!" Jeannine Crane (2-time home buyer with Kristen), Charlotte, NC and Indian Land, SC- (three transactions, buying and selling). "I just wanted to THANK YOU from the depths of my heart... As you now know (if you didn't already), I take NOTHING for granted in life and I've learned that people don't have to be nice to each other, we don't have to be considerate, kind or anything else. Knowing this, when someone CHOOSES to share their heart with you, it's REALLY, REALLY SPECIAL and you're sincerity is so blatantly obvious and I LOVE YOU for it! "Hi, Kristen. 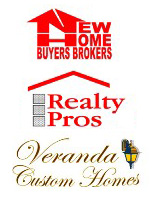 Some recent events with a different Real Estate Agent here in Colarado just maks me appreciate you that much more! I am glad that we have you as a friend. Have a nice weekend. Thank you so much for your hard work a few months ago in selling our home there!" Andrew Lefin and The Lefin Family- Hunter Oaks (Waxhaw, NC) and Fort Mill, SC (two time clients, with more to come on the Investment Portfolio side)!